After much anticipation, an advertisement featuring footage of Building 7’s collapse, soon to be seen on TV screens all over New York City, will be unveiled on Prison Planet TV! 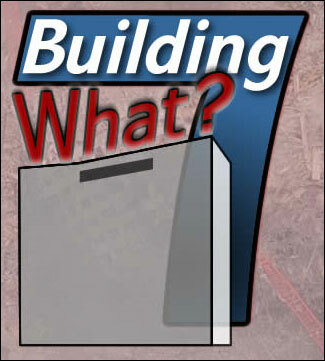 The “BuildingWhat?” TV Advertising Campaign is a movement-wide effort to blanket New York City with TV ads in the second half of September featuring footage of the collapse of World Trade Center Building 7. The campaign is cosponsored by David Ray Griffin, Richard Gage, Niels Harrit, Kevin Ryan, Bob McIlvaine, Manny Badillo, and several other leaders and organizations. The campaign seeks to raise $500,000 in order to expose over one million New Yorkers to footage of Building 7’s collapse. The reason why the mainstream media won’t air footage of Building 7 is quite simple – because that footage is the “Zapruder film of 9/11.” On the evening of March 6, 1975 more than 11 years after the assassination of JFK, the Zapruder film was aired publicly for the first time ever, allowing millions of Americans to see with their own eyes the brutal tragedy that had unfolded a decade earlier on a sunny afternoon in Dallas. A few seconds of footage refuting the fairytale of a lone gunman changed the way a people thought about the event of their generation, and public outcry led to a new congressional investigation. Today Building 7 gives us that same opportunity. When a judge in a New York City courtroom says, “Building WHAT?” in response to hearing the words “Building 7”, it tells us just how well Building 7 has been hidden from public view. But two weeks of TV ads can begin to change everything. For months the New York City Council and Manhattan DA have been educated about the collapse of Building 7. It is now time to raise public awareness so that a handful of courageous officials will have the public support they need to stand up and demand the truth. Tune in today to see this ground-breaking ad aired publicly for the first time ever, and please consider donating at http://BuildingWhat.org to ensure it is seen by one million New Yorkers. Joe on Fri, 08/27/2010 - 5:42am. Good info. good links. thanks for posting. appreciate it. Orangutan. on Fri, 08/27/2010 - 5:32pm. TomT on Fri, 08/27/2010 - 10:14pm.